When people think of robots, they may envision a friendly machine like Johnny Five, or perhaps one more nefarious such as the T-1000. In any case, robots are here to stay, and they are driving a significant portion of the national economy. 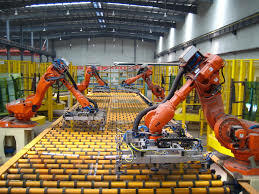 According to current data collected by IndustryNet, the robotics industry is currently worth nearly $6.6 billion and employs over 16,000 individuals. Let's take a closer look at how these machines are changing the way we build, do business and live our lives. The advantages of robots are tied to their accuracy, speed of action and low maintenance requirements. Whereas humans usually work in eight-hour shifts, robots can work around the clock while maintaining much higher rates of productivity. Another largely unrecognized advantage is that robots do not require climate control or lighting, reducing the amount of energy consumed by a facility. Additionally, smaller companies can use robots as efficiency leverage to compete with larger firms. These advantages have helped the robotics industry experience rapid growth, undergoing a 13.79% rate of growth in total jobs in the last year. According to regional data collected by IndustryNet, out of 188 companies in the market, the geographic distribution is centered on the Midwest with 43% being located in this region. The South and Northeast are hosts to roughly 21% each while the West is home to just over 15%. Uncertainties in 2018 over global markets, tariffs and trade wars may have contributed to the muting of the American robotics market and relatively flat sales growth of only 0.4%. Part of this reason may be related to the large portion of distribution that is international where just 36% of the market is domestically focused. Twelve percent (12%) of companies reported employment growth while only 5% experienced a loss of personnel. The spread in sales growth was slightly smaller with 4% increasing sales over the previous year and 1% declining. As robots become more popular in the United States and global economics settle down, we can expect to see increased growth across the board. The first industrial robot was named Unimate and was first used on a General Motors production line in 1959. Mass production and widespread use followed two years later. Early industrial robots were large, occasionally dangerous and not very intelligent outside of a few functions or programs. 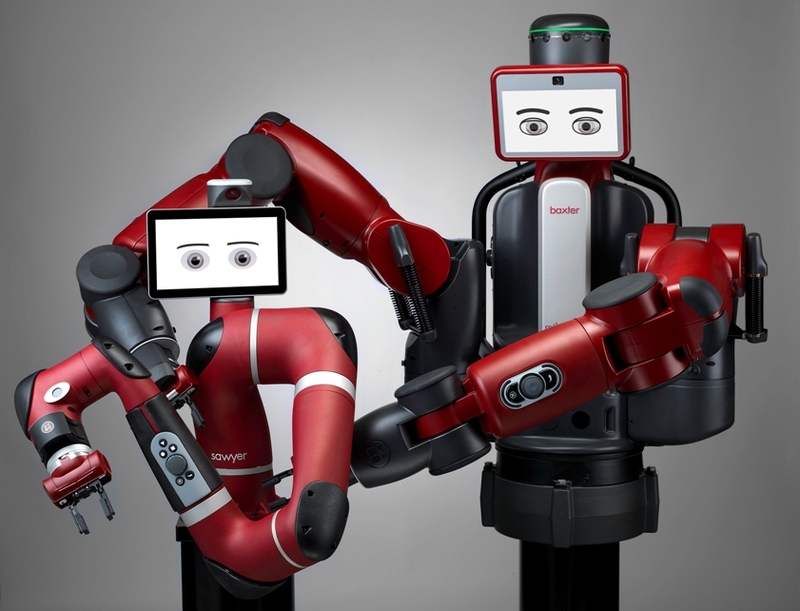 Modern industrial robots have made quantum leaps in usability, safety and intelligence. Whereas older robots needed to be isolated from humans due to their inability to slow or moderate their actions, new versions can work side by side with people. The most elegant examples, known as cobots, are actually designed to be a mechanical partner to a human worker. 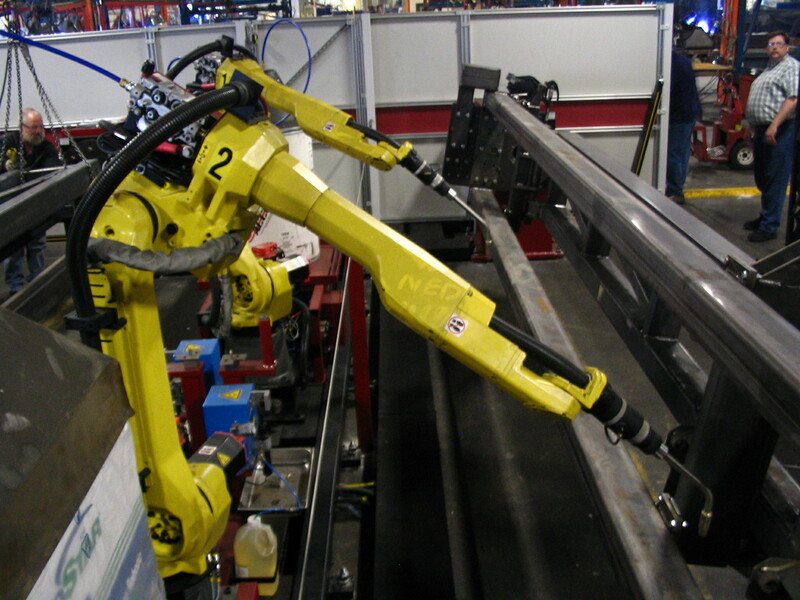 As industrial robots grow more sophisticated, their use has become commonplace in a variety of industries. No longer solely used for jobs too difficult or hazardous for humans, robots now perform a variety of tasks that people can still do, but at a much faster and more accurate rate. In addition to foundry work, welding, vehicle assembly and hazardous materials handling, robots now handle pick and pack warehouse duties, produce and food processing, prescription sorting and electronics assembly. In the field of medicine, adoption of robots was obviously slower due to the critical nature of the work being performed. The first robot to assist with surgery was the Arthrobot in 1983. It would be several decades before the first artificial intelligence unassisted robotic surgery was performed. The current integration of internet 4.0 and AI is aimed at allowing robots to perform a wide range of procedures without human intervention. Hospitals in the future may be staffed by robots operated by doctors remotely, allowing high-quality health care into areas that previously would not have had access. These examples listed above are just a few of the fields where robots will make an impact in the coming years. While there are serious concerns over effects on employment, people are becoming more comfortable with the idea of robots. Whether you're looking for material handling robots, welding robots, or are seeking robotic integration, finding the right supplier of robots and related technologies is easy with IndustryNet's free database. IndustryNet uses skilled researchers and distributes information on 400,000 manufacturers and suppliers of 10,000 industrial products and services nationwide. As a go-to resource, customers can learn all about the industry and even request multiple quotes and estimates from providers.